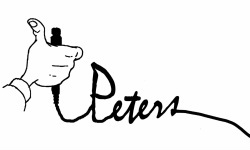 In 2017-2018, Peters will have two fourth grade academic teams and two fifth grade academic teams. Teams will participate in a spring and fall competition against Anderson and Darnaby. Jeopardy! - This is an archive of every Jeopardy! game. Look for "Kids Tournament" games for easier questions. TriviaPlaying - Quizzes by topic. Please contact Mr. Bowen or Mrs. Harding if you have any questions about the Peters Academic Team.